Search all Monterey Peninsula Waterfront Real Estate including waterfront homes and condos for sale throughout the cities of the Monterey Peninsula on one easy to use website. This page has information and links to the latest Monterey Peninsula waterfront real estate for sale in the cities of Carmel, Carmel Highlands, Pebble Beach, Pacific Grove, and Monterey. 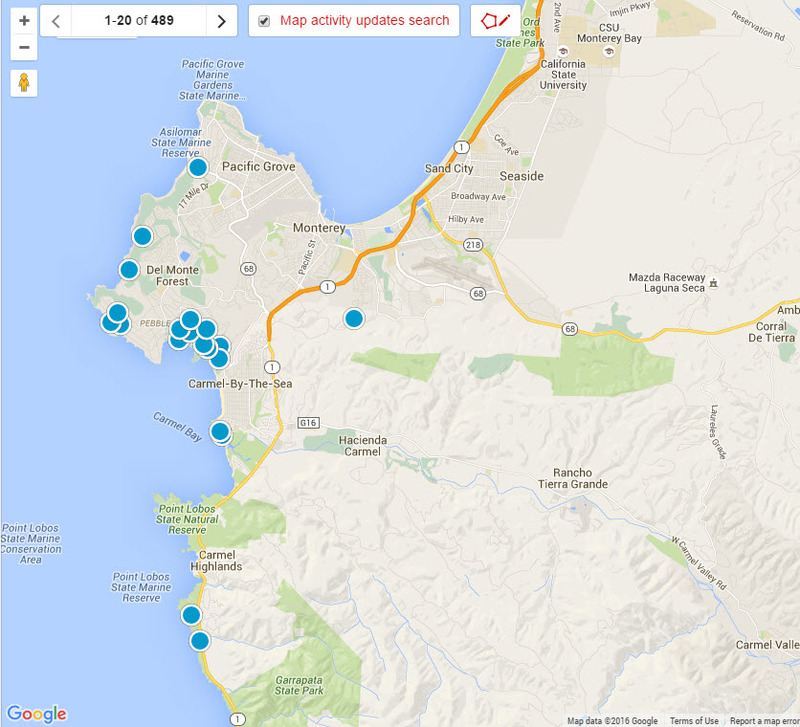 Looking for Monterey Peninsula Waterfront Real Estate? This page has the latest information about MLS Listings of Monterey Peninsula waterfront real estate, where to find it and what to expect to pay for it. Whether it is a $800,000 waterfront condo on Del Monte Beach in Monterey, a $1,500,000 Pacific Grove Cottage located on the waterfront, a $4,000,000 Carmel waterfront home for sale on Scenic Drive or a $27,000,000 waterfront estate home on Stillwater Cove next to the Pebble Beach Lodge, this website will have the newest selection of waterfront real estate on the Monterey Peninsula for you to see. The Monterey Peninsula is know as one of the greatest meetings of land and sea anywhere in the world, so who wouldn't want to own waterfront real estate here? The lifestyle offered while living in a waterfront home on the Monterey is second to no other lifestyle in the world. The views range from white sand beaches, dramatic waves crashing into jagged rocky coastlines, whales breaching to sea otters frolicking, all visible from your Monterey peninsula waterfront home. Many waterfront homes even offer distant views of the north side of the Monterey Bay and twinkling lights at night from various coastal cities. You will live in real estate that is close up and personal with crashing white water views of the pounding surf. This is a great webpage to see if there is a piece of Monterey Peninsula waterfront real estate within your budget. True waterfront real estate is very hard to find on the Monterey Peninsula and finding the right Monterey Peninsula waterfront home can be even harder. There typically are people waiting for the right opportunity to come up so they can own there very own waterfront home on the Monterey Peninsula. Don't be surprised if there are multiple offers on even the very high end properties that are located on the waterfront here. The best way to find a waterfront home is to partner up with a buyers agent who can help locate even the off market waterfront properties that might be available for sale. If you are looking for Monterey Peninsula waterfront real estate for sale and the lifestyle it offers, you can start your search below. 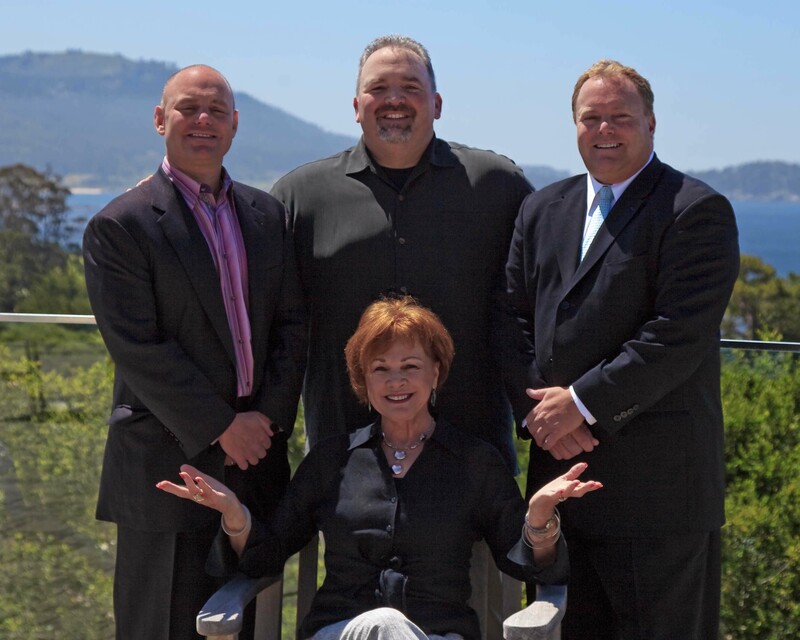 The 5 latest listings of waterfront real estate on the Monterey Peninsula are below. For a full list of ocean view homes that are available in this sought after area, you can build an advanced search or contact us and we can do it for you.